Fiber lasers are a cost-effective, high-performance alternative too many of the other laser solutions that are currently on the market. Their adaptable nature means that they are useful to a wide number of industries, including military, industrial and commercial. Below we explore the specific scientific uses of fiber laser technology. What are fiber lasers and why are they useful? A fiber laser is a variation of a normal solid-state laser but differs in that the medium being used is fiber, as opposed to a rod, a slab or a disk. The laser light itself is emitted from within the central core, and this central core can be structured in a variety of different ways. A fiber laser has many benefits compared to standard, conventional lasers that are used. Firstly, they are much more stable as the laser beam is generated within the fiber and so doesn’t need to be as accurately aligned as is the case when other laser types are being used. The fact that the beam is generated within the fiber also offers a high peak and ultrafast pulse duration with its high-quality laser beam, and can, therefore, provide a very straight, very small dot for precision cutting. Finally, the fiber laser can reach extremely high levels of power, making them a robust, cost-effective and efficient solution. Due to its variety of advantages, fiber lasers are extremely useful within a variety of different industries, particularly in the field of science where precision, accuracy, and safety are paramount. Below are just some of the many applications for fiber lasers within science. Medicine is one of the most important scientific fields, and fiber lasers have many uses for this field, such as being used in medical technologies as they allow for much more accurate measurements, diagnosis, and treatments. One such device is an endoscope, which can be used to look inside a body cavity or organ. Another useful medical device using fiber lasers is handheld sensors, which can be used quickly and reliably to provide an efficient brain scan diagnosis to determine if there is bleeding within the brain, which can be crucial in areas where medical equipment is scarce, such as on a battlefield or high up a ski slope. Metrology is the science of measurement, both theoretical and practical. Fiber lasers are used to produce femtosecond frequency combs, which are spectrums consisting of equally spaced elements, and are useful for measuring both in metrology, as well as general research. One such realistic example for a frequency comb would be as an atomic clock for future-generation GPS satellites that give a much finer position resolution on the ground. Not only will this help someone to know exactly where they are on the street, but for science, it could be much more beneficial; for example, it could be implemented into automated equipment so that it knows exactly where it is and where it needs to go based on GPS measurements. Spectroscopy is a branch of science that deals with the investigation and measurement of the spectra that is produced when a particular type of matter interacts with or emits electromagnetic radiation. Types of spectroscopy that can be completed using a fiber laser are a laser-induced breakdown spectroscopy, which is a process that causes atomic emission, and a resolved fluorescence spectroscopy, which is a process for analysing fluorescence from a given sample. Finally, the frequency combs mentioned above can also be used for ultra-precise spectroscopy, which is useful for something like astronomy observations. As well as uses for metrology and spectroscopy, frequency combs are also useful for microwave generation and optical-waveform measurement. Electro-optics is the branch of science which deals with the effect that electric fields have on light and on the optical properties of certain substances, and is very similar to photonics. Electro-optic technology can be used for a variety of devices and detectors that convert light, or change light, into a signal. Such devices include lamps that light up automatically when it gets dark, sensors that will activate once something has disrupted its beam, and other types of sensors that can detect the distance or presence of an object. The military weapons, equipment, and vehicles that are used today come from scientific research, and there have been experiments conducted in recent years to incorporate fiber laser technology into military uses. 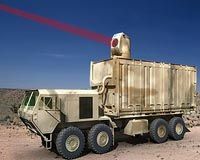 For example, once confined to the realms of science fiction in films and television, there have been numerous laser weapon prototypes in recent years which use optical fiber lasers due to their cheap, robust and portable nature. Product labelling, traceability, and plagiarism are widely used in the medical field for a variety of different reasons, and it’s important that this information is accurate and safe. A fiber laser beam can be used to mark tempered colours in metal or make colour changes in plastic without changing the surface. 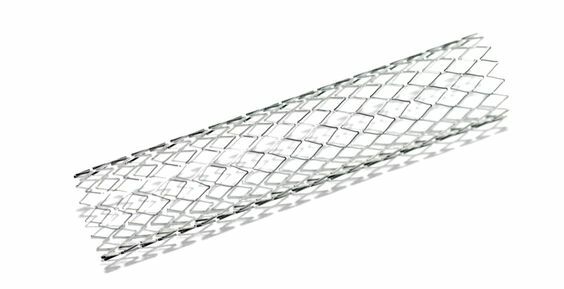 This means that sterilisation can be easily enabled at high temperatures. As we can see, fiber lasers have a large number of scientific uses for a range of different functions, helping in biology, chemistry, physics, astronomy, medicine, and defence. Their reliable, efficient and cost-effective nature make them the perfect laser solution for the field of science, and it is likely that we’ll see the technology integrated further and further into various fields of science over the coming years. Our fiber lasers have multiple applications for many different industries. If you’re interested to learn more about our full range of products, and how they may be able to help you, please don’t hesitate to get in contact with us here or contact us on +44(0)1489 779 696, or by email at sales@spilasers.com.